MyYESNetwork.com > Thread > Matt Groening's new show Disenchantment! Network Forums Open Forum Matt Groening's new show Disenchantment! Matt Groening's new show Disenchantment! Matt Groening's new show Disenchantment debuts on Netflix on August 17th 2018! oh, ok. I've never seen the Simpsons. I tried and tried and tried and tried and tried to like The Simpsons. Over the years I tried watching a half dozen episodes, but I just couldn't get into it, couldn't understand what all the hoopla was all about. If you're into it, good for you, I'm happy you have something that you find so entertaining. It's just not for me, and believe me, I gave it more than a fair chance. to decline they are going into season 30 and surpassed Gunsmoke for the most amount of episodes for a scripted show so they are doing something right. I still think its better then a lot of crap on TV most crap on TV I absolutely hate Laugh Tracks its for shows that arent funny and need a gimmick to make you laugh. Adult Cartoons just have better writting IMHO and Its harder to voice act then regular act and you can do so much more with Cartoons! Groening's other show is Futurama, Futurama Is way better then The Simpsons and my two favorite shows right now are Bobs Burgers On Fox and Stranger Things on Netflix! 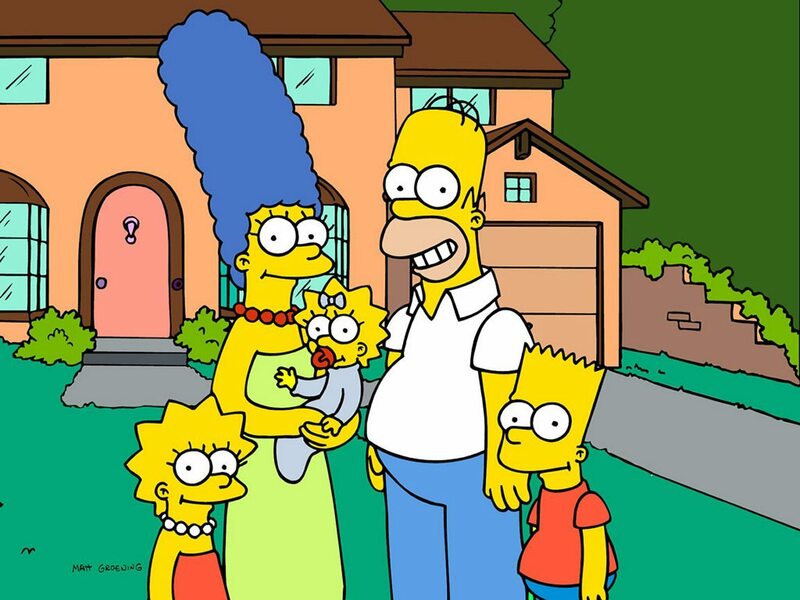 Matt Groening Born In Portland Oregon in 1954 he Is my dads age! Wanna see a *great* cartoon series? Try Rocky & His Friends, or Rocky & Bullwinkle, or The Bullwinkle Show. Airs under various names. Hilarious stuff. Great political humor, laugh out loud stuff. It's also good for the kiddies. I love old cartoons like Rocky and Bullwinkle and The Flintsones, The Jetsons, Tom and Jerry, Loony Toons I know old cartoons my dad was born in 1954 he will be 64 in November he turned me on to all that good stuff. The diffrence to those old cartoons and the Groening type shows and Family Guy and Bobs Burgers Is the Groening type cartoons are Adult Sitcoms. They arent kids shows.